Cork flooring is one of my personal favorites for its natural beauty, its performance and its environmental sustainability. A natural sound barrier and insulator, cork is actually the bark of the cork oak tree which is harvested every seven years in the traditional manner that hasn’t changed much since it was first cultivated. Grown almost exclusively around the Mediterranean Sea in places like Portugal, Spain, Morocco, France (and now parts of Asia), cork is truly a miracle of nature. Did you know that one cubic inch of cork consists of not less than 200 million completely enclosed air cells? 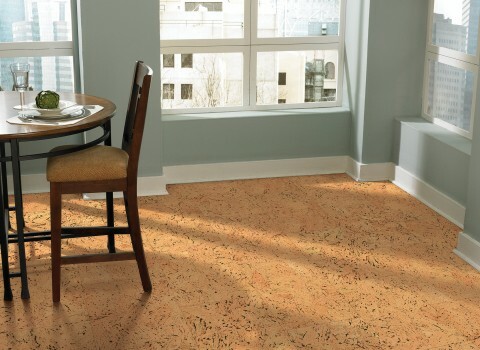 This cushiony softness is what makes cork not only comfortable under foot, but also a very quiet flooring choice. 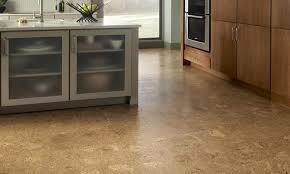 Cork is a natural product that comes in an array of style options. New locking systems and laminate-style layered construction has led to the development of plank cork flooring with the very latest in edge treatments and design options. At the low end is granulated cork that is coated with binders and most often cut into squares. 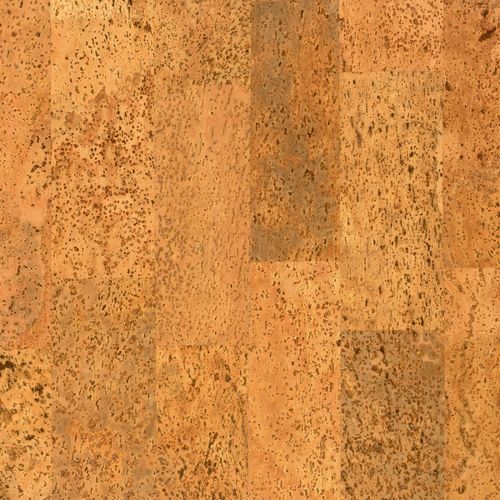 While there are several brands of cork flooring to choose from, there are only a small number of manufacturers of cork. Because of this, most cork flooring is very well made and in an environmentally sustainable fashion as is fitting for such a natural “miracle” product. Keep the cork floor surface free of dirt and grit through regular damp mopping. Clean spills and excess water immediately, and never flood the floor surface with any liquid or use harsh abrasive cleaners. In addition, furniture rests are recommended to prevent indentations – remember cork “gives” under pressure. Better yet, use floor protectors (those little felt pads for furniture).